Altar servers (boys and girls) fulfil an important ministry in serving during Mass. In order to be an altar server you need to have received your First Communion. Please contact Fr. Alex if you would like to become an altar server. The Children's Liturgy takes place during 11.30 Mass on alternate Sundays. All children in the parish are welcome to attend. Please click here for more information. Extraordinary Ministers of the Eucharist assist at Mass distributing the hosts and chalice. There are currently 14 active commissioned Ministers of the Eucharist, 13 of whom serve at Sunday morning Mass and 5 at Sunday evening Mass on a rota basis, a copy of the rota is on the Church Noticeboard. Holy Communion is distributed to sick and housebound whether at home or in hospital. Our Lady of Lourdes has a team of Eucharistic Ministers that carry out this Ministry. If you require, or know someone who requires, Holy Communion at home or in hospital please contact the the parish administrator on 01383 722202. Landings is a Paulist lay-led ministry of hospitality for the welcome of Catholics who want to explore recommitting to their their Parish Community. This small group meets once yearly for a series of short meetings-to share faith, pray and discuss contemporary Catholic issues together in a comfortable setting with other ordinary Catholics. Marriage preparation courses for couples who are about to be married. The aim of this course is to enable couples to strengthen their mutual commitment and develop key skills to deal with problem solving, communication and resolving conflict. FOCCUS that is based on the key elements in a successful marriage is an integral part of these courses. One-day courses are run every year by trained relationship counsellors and FOCCUS facilitators. Father Alex should be contacted in the first instance, see Sacraments. There are currently two groups, one meets every second Tuesday at 10:00 and the other meets every second Thursday at 19:45 pm. Please come along and share our prayerful experience. Details of dates of meetings are published in the Parish newsletter. The Parish Pastoral Council is a partnership between the priest and the laity consulting and working together enabling the parish community to fulfil its mission. The group is a consultative body with an advisory role to assist the Priest in developing a parish plan while providing input on issues of pastoral concern. Please click here for more information. 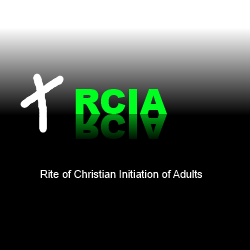 Our Lady of Lourdes is in the process of setting up an RCIA group and would like to hear from those adults that would be interested in learning more about their faith. If that is you then contact the parish administrator on 01383 722202. Our parish has a team of 20 parishioners who read at Sunday Masses on a rota basis. Weekday readings are facilitated by parishioners who are daily communicants. The readers are organised by Bob Cockburn. If you would like to join this team of Readers, please contact the parish team. This service is undertaken by 5 Ministers of the Eucharist. There are no services during the Winter months. The Society of St Vincent de Paul, or SSVP, is a worldwide confederation of national charities with about 750,000 members. Membership is open to men and women, young and old. Our Lady of Lourdes' branch currently has 8 members who visit the sick and give help to families that need support. Enquiries to Kathleen Dyke or Bridie Burns. Currently the Youth Ministry is inactive. Spred is a parish based programme that exists to nurture faith in children and adults who have a learning disability. Our Lady of Lourdes has set up a group within our parish. Currently there are ten volunteers who are undergoing training. More details from Jane Imrie.